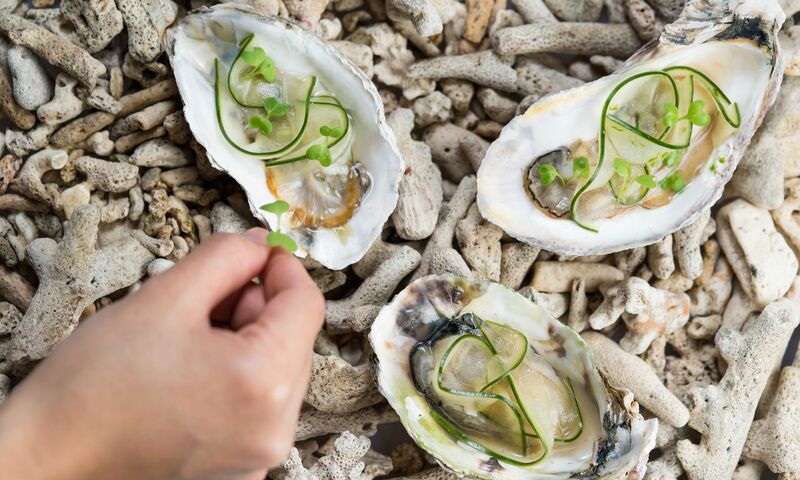 After a successful pop-up with Peru’s Virgilio Martinez in January, Haku is hosting a new collaboration with Manila’s Toyo eatery this spring, where the esteemed restaurant’s chef Jordy Navarra will present his modern Filipino flavours for two nights of gastronomic delights. For February 28 and March 1, chefs Balbi and Navarra have designed a unique four-hands dinner menu. With an interplay between traditional flavours and techniques of Filipino cuisine, Navarra will bring his signature barbecue pork belly wrapped in Filipino buro pickle and kinilaw of oyster to the menu, while Balbi will introduce white asparagus with homemade bagna cauda sauce and caviar to the collaboration. The two chefs will also create joint-dishes such as grilled wagyu beef with takenoko (bamboo shoots) and pepper paired with Filipino rice. The four-hands dinner menu is priced at HK$1,980 per person.